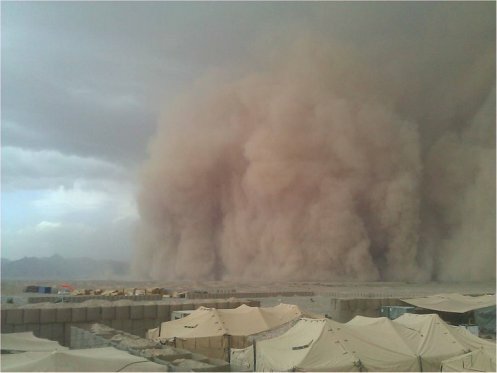 Yesterday, I wrote in this space about the “120 Days of Wind,” that lovely time of year in southern Afghanistan when sandstorms come more frequently than showers for many Marines. 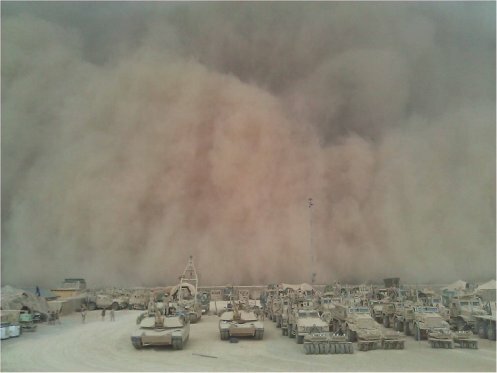 Without belaboring the point, it’s worth noting that Marines with 1st Tank Battalion, out of Twentynine Palms, Calif., recently posted some pretty epic photos of recent sandstorms on their Facebook page. It appears they were taken by someone with Delta Company, which is based in the upper Gereshk Valley, primarily at Combat Outpost Ouellette. I feel the crunching in my teeth already. 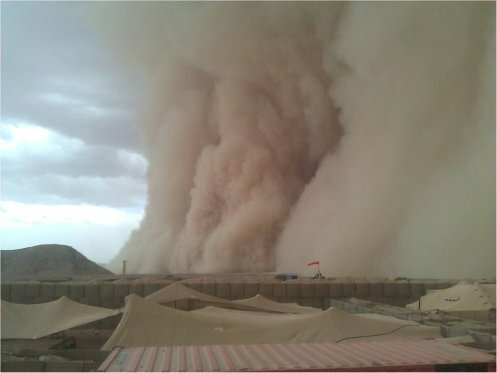 That has been widely reported on the Corps’ own websites, for the record.